Rabbi Ilana Goldhaber-Gordon took an unusual path to the rabbinate. She holds a Phd in biochemistry from MIT, has studied Talmud at the highest levels, was educated in Orthodox, Conservative and post-denominational institutions, and brings the diversity of these experiences to everything she does. 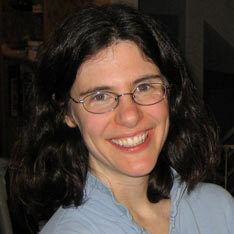 She is currently on the faculty of Gideon Hausner Jewish Day School, Lehrhaus Talmud Circle and Kevah.